The holiday season is supposed to be overflowing with joy. Most people, however, find themselves dealing with stress and anxiety more than any of the happier emotions. For recovering addicts in particular, the holidays can be a difficult time of year, as all of the extra emotional discomfort can and often does trigger a desire to “escape” and “not feel.” And the fastest and easiest way for an addict to do that is via an addictive substance or behavior. Unfortunately, as addicts well know, addiction relapse does not make things better. In fact, it has quite the opposite effect. Sure, it causes their emotional discomfort to go away for a short while, but during that brief period of escape more problems are created, resulting in still more emotional discomfort and an even greater desire to numb out. That is the downwardly spiraling cycle of active addiction, and if recovering people are not careful they can find themselves spinning in that cycle as badly as ever. Get Some Extra Recovery: Rather than skipping therapy sessions and 12 step meetings because they are too busy, recovering addicts should place some extra focus on healing. This could mean more therapy than usual, additional 12 step meetings, or just reaching out to friends in recovery by inviting them to lunch or coffee—an activity that allows both people to receive/provide support and decompress emotionally with someone who understands the temptations of addiction. HALT: HALT is an acronym for Hungry, Angry (or Anxious), Lonely, and Tired. This is a great way to self-check one’s emotional and physical wellbeing during a stressful season. If recovering addicts are irritated, impatient, restless, or otherwise discontented, they should ask themselves, when is the last time I ate, did I get enough sleep, am I in conflict with someone or worried about something, do I feel isolated and lonely, etc. More often than not, a few Christmas cookies, a catnap, or a short conversation with a loved one or a friend in recovery will change an addict’s mood (and kill the interest in relapsing). Be Grateful: One of the best ways to combat stress, disappointment, and other forms of emotional discomfort is to write out a ten item gratitude list. Most people find that it’s impossible to be grateful and unhappy at the same time. As such, gratitude is a great way to change one’s mood and beat back a desire to reengage with an addiction—even during the uber-stressful holiday season. Spend Time with Family and Friends: Probably the easiest (and most enjoyable) way for recovering addicts to protect their sobriety during the holiday season is to engage in seasonal fun with other people. Yes, of course it’s faster and easier to do the holiday shopping without “help” from the kids, but recovering addicts will have a lot more fun (and they’ll be a lot less likely to relapse) if they take the little ones along when they shop. The same is true with decorating the house, prepping holiday dinners, etc. 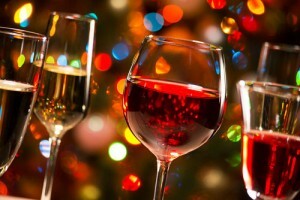 Bookend Potential Problems: The holiday season is a party season. There are work events, family events, neighborhood events, community events, church events, school events, and all sorts of other soirees to attend. And quite a lot of these gatherings are filled with temptations—spiked eggnog, hot soccer moms, pushy hostesses who think anyone who’s not drinking their special punch is a Grinch, etc. To protect their sobriety, recovering addicts should bookend these events with their therapist, 12 step sponsor, or a close friend in recovery. They phone this individual before the party and commit to sobriety, perhaps making plans for dealing with potential temptations, and they phone again after the event to confirm they stayed sober and to discuss what they’re feeling and what they might want to do differently at future events. Don’t Forget About Romance: Recovering addicts with a significant other should set aside some quiet time to spend with that person—dates both partners agree to keep no matter what. If recovering addicts have to ship their kids to their dreadful mother-in-law’s house for a few hours, they should do it. And then they can put on some quiet music and take a relaxing bath with their mate, or dress up like Santa’s naughtiest elf, or just talk about their feelings and what they’re going through. This type of intimate time with one’s partner, whether it’s sexual or just being together, is a great way for both people to reduce stress and reconnect. For the most part, staying sober during the holiday season is the same as staying sober any other time of year, but more so. Essentially, recovering addicts must understand that the things that trigger them all year round don’t go away just because it’s Christmas. Moreover, many of those triggers will occur more often or be heightened thanks to outsized holiday expectations, disappointments, and temptations. As such, recovering addicts must step up their game, placing more emphasis on sobriety and also scheduling fun time with family and friends. By standing up for themselves in this way, recovering addicts not only decrease their stress and their odds of relapse, they increase their ability to experience joy and intimate connection. And that can be a pretty awesome holiday gift!